Ballroom Spirit Foundation is a non profit organization that serves to support young amateur competitors between 16-21 years of age in the study of ballroom dancing. This is accomplished through grants, scholarships, and mentorship. You don’t have to go far to compete at great events. Stake your claim, and experience the California Gold Rush DanceSport Series today. What is the Dancesport Series? The World Pro/Am Dancesport Series is a network of over 80 Dancesport events held throughout North America that promotes their events with a highly desired reward system. The series is about giving back to you! Accumulating points is the name of the game! Points will rank you Regionally, Nationally, and get cash back to spend! The top 20 overall students who compete in a World Pro/Am Dancesport event will each receive a Region pin along with their $100 Voucher Award, which can be used towards Pro/Am entries at any other World Pro-Am Dancesport event outside the region in which you reside. The placements you receive in our Multi-Dance Championships will earn you points towards the largest Team Match in North America held at the Ohio Star Ball Championships in November. All Teachers accumulate points towards the top overall teacher award ($25,000) to be presented at the Ohio Star Ball Championships. 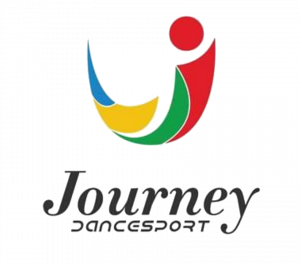 The Journey Dancesport Tournament was created with a mission to help align young competitive dancers with their “sports” oriented goals. More and more young athletes are participating in Dancesport throughout the United States. Many of these athletes have a dream of someday being able to go as far as competing at national and world recognized events. Even the Olympic Games in the future may become within their reach as Dancesport continues the quest to be recognized as a sport. The Journey provides a platform to compete on a level that helps these athletes prepare for such achievements as well as being able to compete for the pure joy of the sport. It also fosters teamwork, good sportsmanship and social skills. This competition series is proud to be part of the AAU (Amateur Athletes Union). As an AAU recognized Athletic Club, competitors participating in this Tournament Series have an opportunity to be part of one of the largest multi-sports organizations in the country. AAU is dedicated to the promotion and development of amateur sports and physical fitness. Their philosophy is Sports for All, Forever. 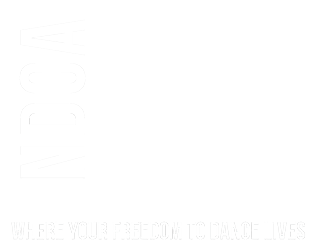 The Star Dance Tour, sponsored by City Lights Open, is an exciting opportunity for professional dancers to win major prize money by combining their results from a series of competitions. The grand total prize of over $120,000 will be awarded in January 2018 to the best Standard and Rhythm Dancers. 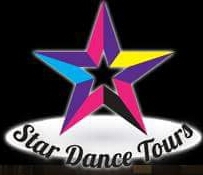 The Star Dance Tour combines the couples’ scores from a group of attended competitions. There are two types of competitions available: Official and Points Only (with no solos). You can learn more by reading the Rules. The Star Dance Tour also gives the audience a voice by including an "audience vote" , which counts towards the grand total. All the Star Dance Tour events that include the solo performances will be streamed live online, so the audience includes thousands of dance enthusiasts watching in their own homes. This is a huge increase in the usual live audience of a dance competition, so tell all your friends to vote for you! This year the Star Dance Tour will be in the Rhythm and Standard styles.